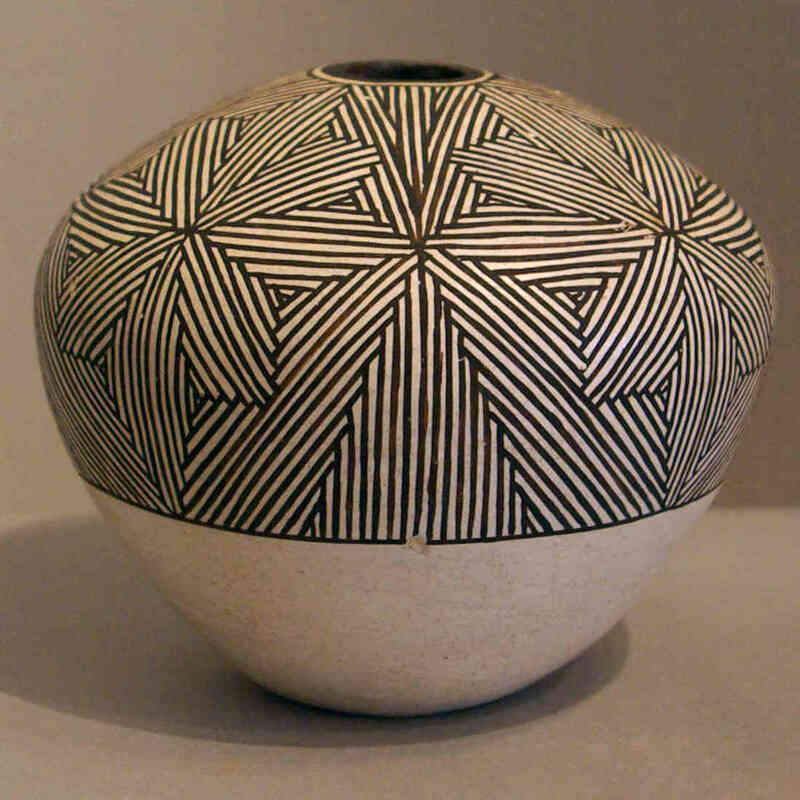 Marie Zieu Chino (1907-1982) was one of the matriarchs in the Acoma potter families. Together with Juana Leno, Jessie Garcia and Lucy M. Lewis, the Four Matriarchs are credited with the revival of the ancient Acoma pottery tradition starting in the 1950's. 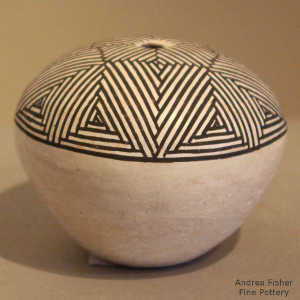 When gathering pot shards to use for temper they would find designs that they then used to decorate their pots. 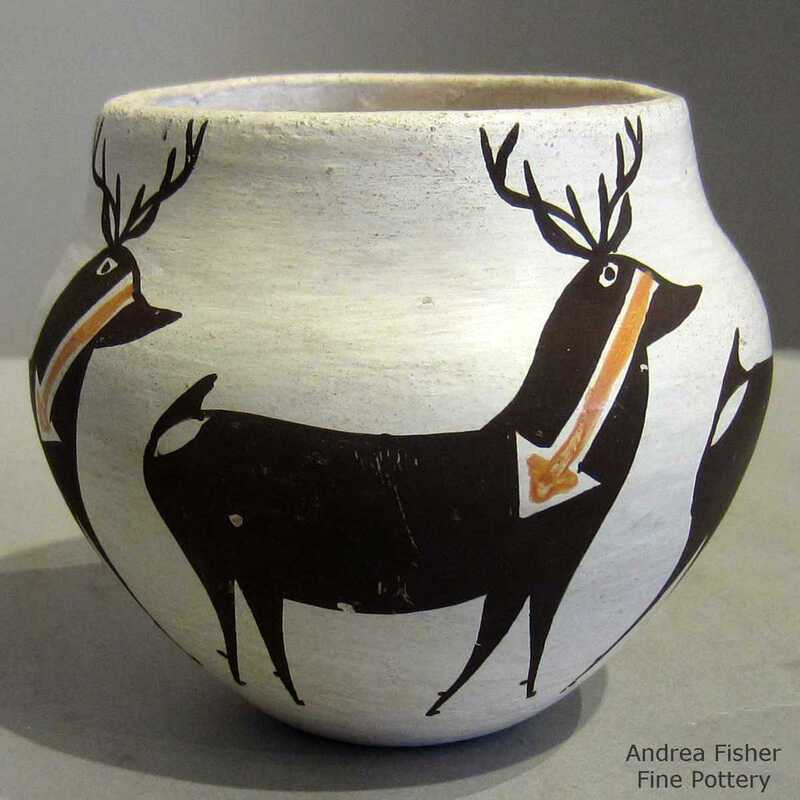 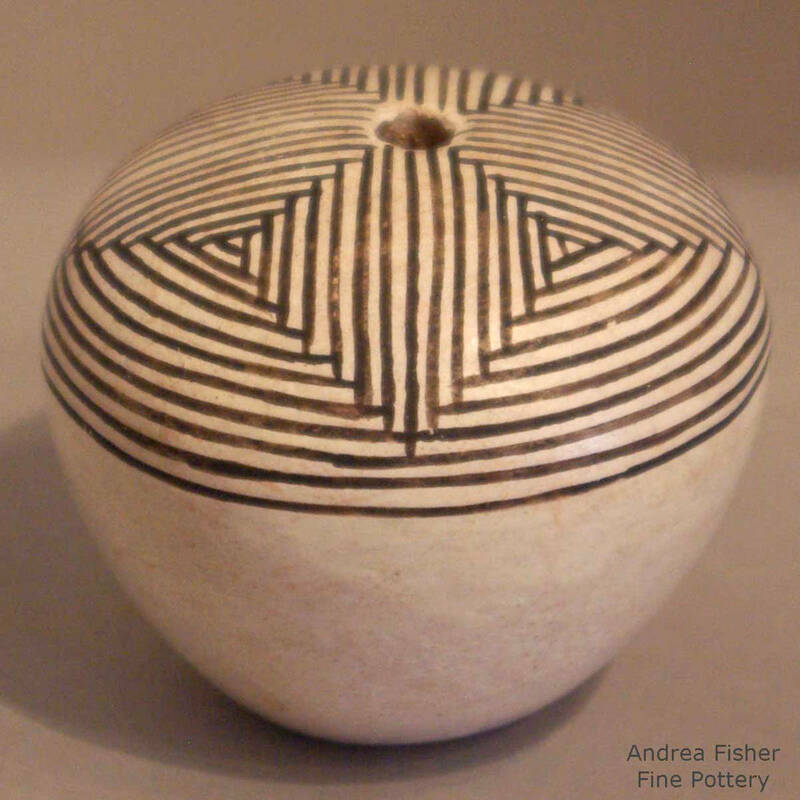 That brought about the revival of many ancient Mimbres, Tularosa and Anasazi designs among the Acoma potters. Before long, that revival spread to other pueblos and we have the riot of ancient designs we see today. 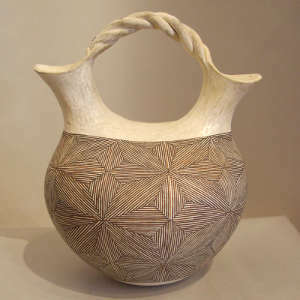 Marie won her first award at the Santa Fe Indian Fair in 1922. 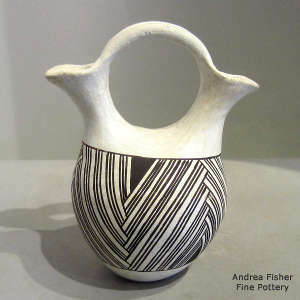 She was only fifteen. 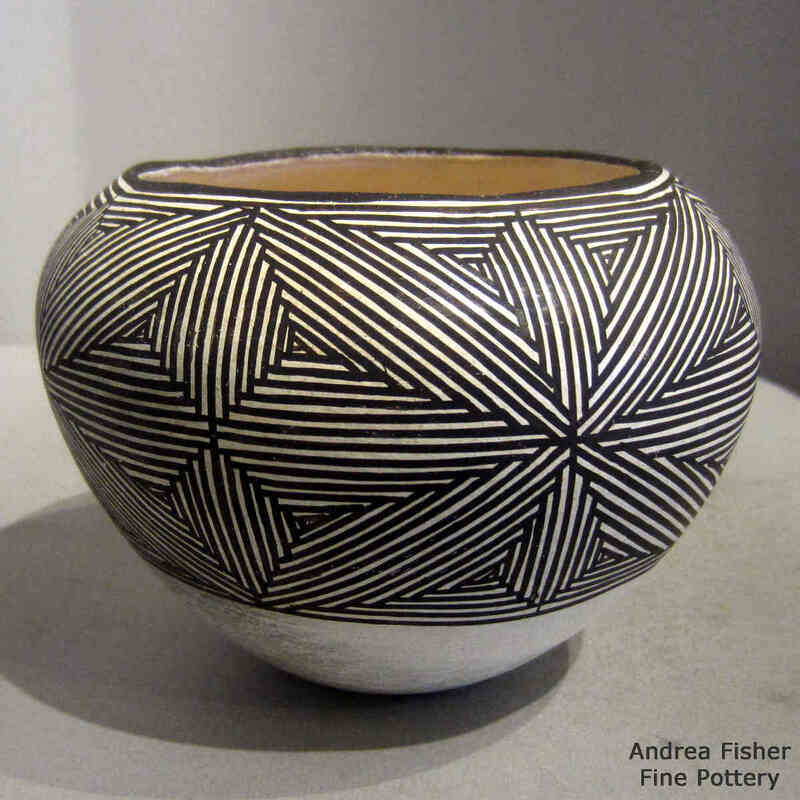 She didn't return to the Santa Fe stage until 1970 and she won numerous awards for her pottery between then and her last appearance there in 1982. 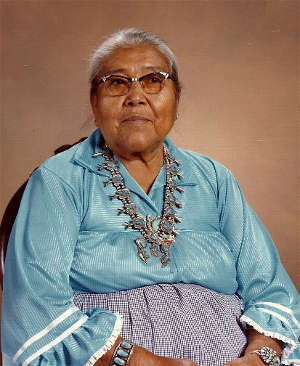 The Southwestern Association for Indian Arts recognized her with a "Lifetime Achievement Award" in 1998. 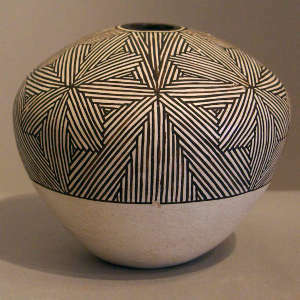 Some of her pots are on display at the National Museum of the American Indian and some at the National Museum of Women in the Arts. 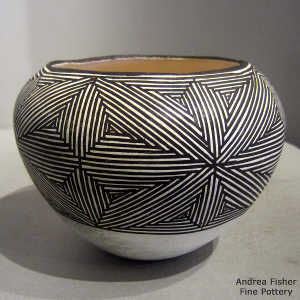 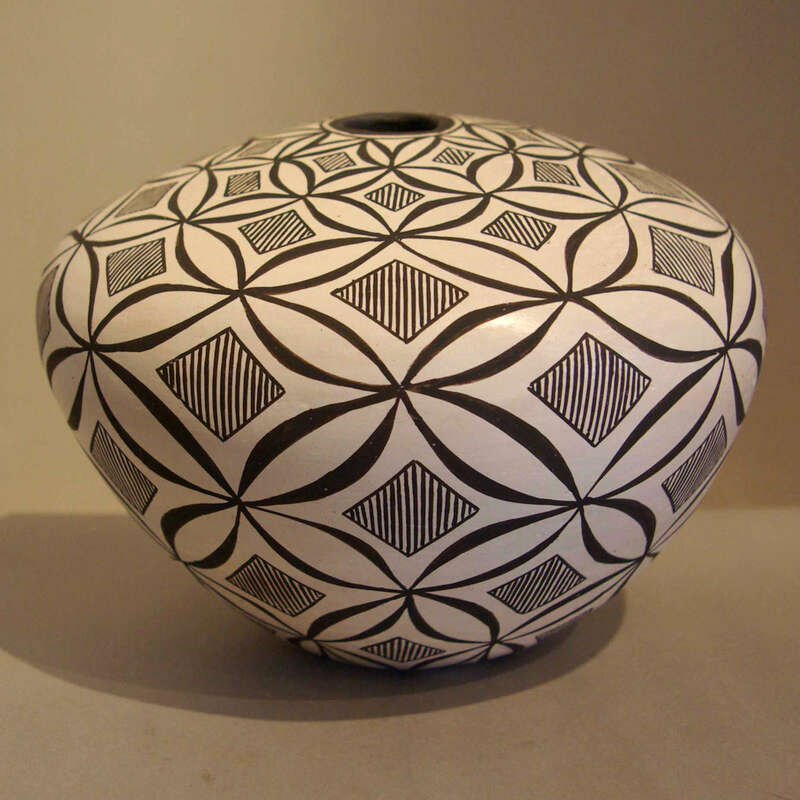 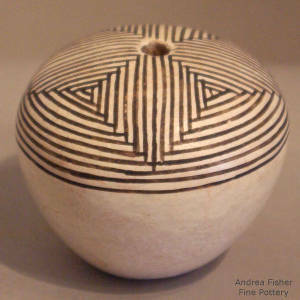 Marie became famous for her black on white jars and vases with the Anasazi step design. Among her other favorite design elements were Mimbres animals, Tularosa spirals, Acoma parrots, rainbows, rain, clouds, lightning bolts, fine line snowflakes and bushes with berries and leaves. The highly regarded Chino family of potters at Acoma are descended from Marie: she taught the ancient art to her children and grandchildren and to many other students over the years. 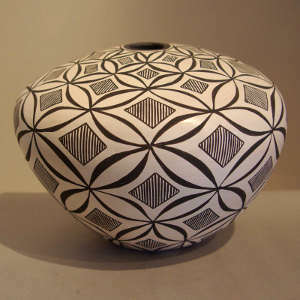 Among her students were Grace Chino, Rose Chino Garcia and Carrie Charlie Chino.